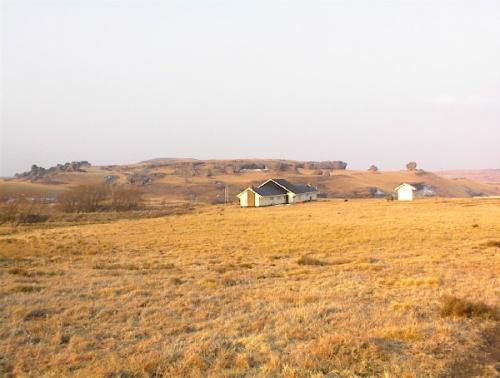 The lodge is located in Lesotho's Sehlabathebe National Park, bordering the far southern Natal Drakensberg in the Underberg district. Valid passports must be presented at the Bushman's Nek police border post before setting off for the lodge. 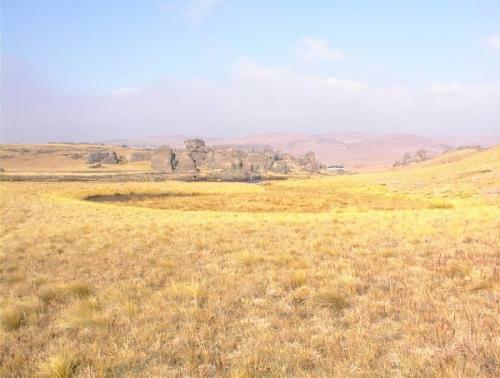 This magificent plateau area is peppered with tarns and fascinating sandstone rock formations and overhangs, amongst which shepherds used to build their unique shelters which can still be seen today. If you make prior arrangements, you are even permitted to stay overnight in some of these shelters. 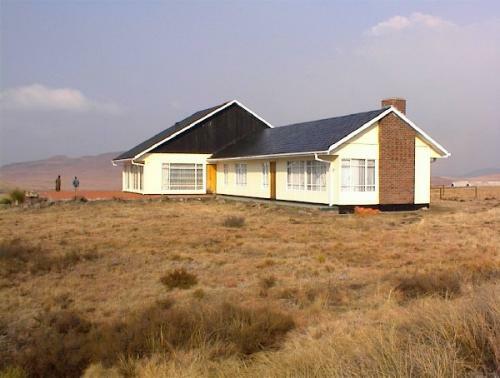 This self-catering mountain lodge is actually a prefabricated building complete with bathrooms, fully-equipped kitchen, dining room, lounge with central fireplace and several bedrooms - some of which have sumptuous king-sized beds. All bedding is provided. The adjacent outbuildings house the maids who will make your beds, wash your dishes and start the fires - all included in the R150 per person overnight fee! If you prefer not to burden yourself with too much gear, food and drinks, two pack mules can be hired at R40 each to carry most of your heavier stuff up Bushman's Pass to the lodge for you. 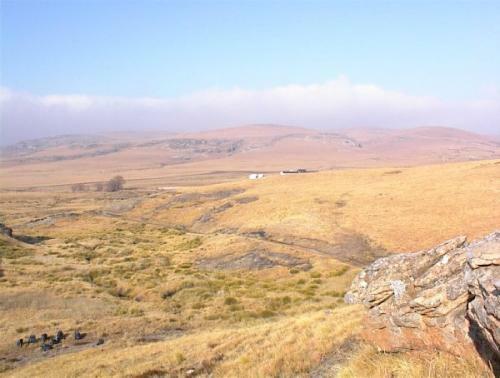 Horses may also be available to carry visitors up the pass, or you can try Khotso Horse Trails. 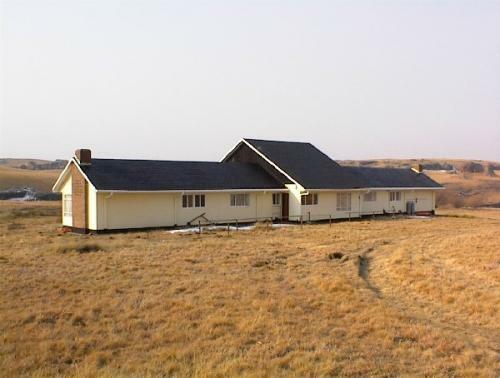 This lodge is still used occasionally by both the president and prime minister of Lesotho. Consequently, it is visited regularly by the local police who keep a constant check on it. Nothing is comfier than a king-size bed, duvet and a glowing fireplace on a cold winter's night! The lodge is fitted with gas lamps and gas geysers, and there is usually a large store of full gas cylinders behind the outbuildings, but you may have to help lug these up to the lodge if the ones there become empty! In winter, the water pipes can freeze solid and there can be no running water inside the lodge for weeks! The maids will then fetch buckets of water from the nearby dam, but this should be boiled before drinking it. There is a large dam in front of the lodge, but the water is usually too cold for swimming. There is also a huge pool below the Tsoelike Falls about 3 km from the lodge. You could not ask for better shelter, but during the windy season the noise of creeking walls and fluttering doors and windows can deny you any sleep! The lodge looks out across the dam towards the Devil's Knuckles (also called the Three Busmen). The whole setting is idyllic.